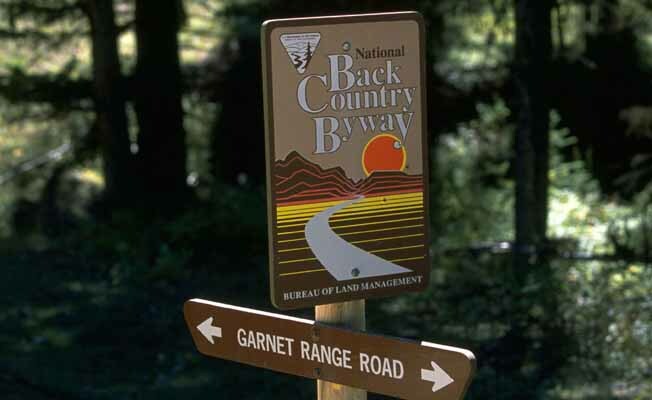 The Garnet Byway provides a 12-mile journey through the Garnet Mountain Range in western Montana. Garnet Ghost Town is a major point of interest along the Byway. 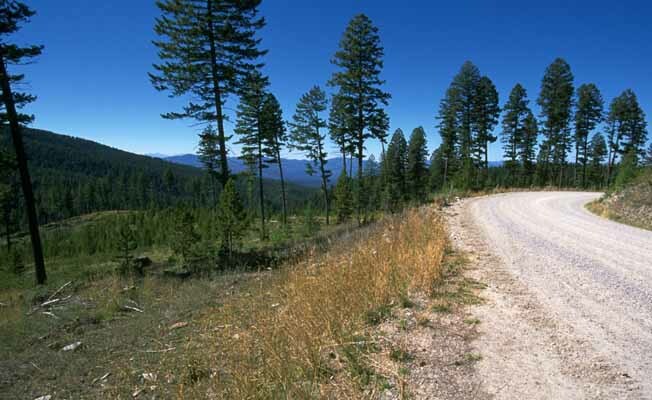 The Byway begins 30 miles east of Missoula where the Garnet Range Road leaves MT Highway 200. 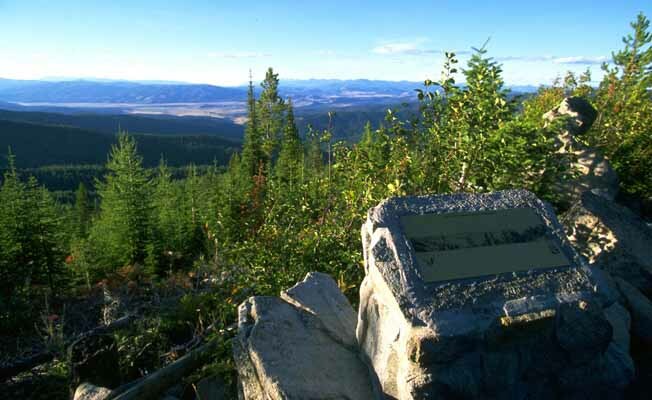 As the Byway climbs 2,000 feet into the evergreen forest of the Garnet Mountains, outstanding panoramas of the Blackfoot River Valley, the Swan Range, the Mission Mountains, and the Bob Marshall Wilderness come into view. 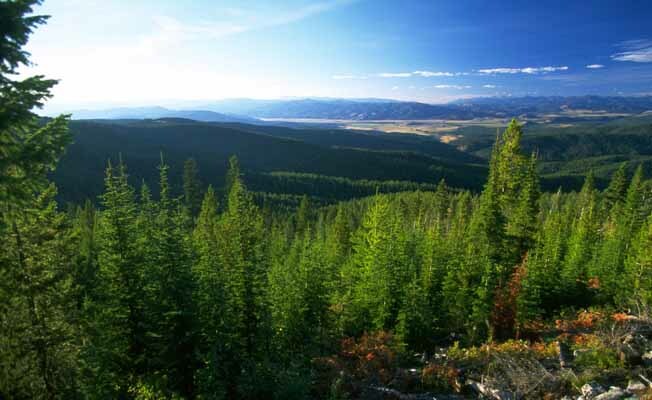 The forests and streams in the area offer many of the recreational opportunities that are synonymous with western Montana such as fishing, hunting, camping, prospecting, cross-country skiing, snowmobiling, hiking, and horseback riding. The route is marked and groomed for snowmobiles by the Bureau of Land Management (BLM) from January 1 to April 30. National Recreation Trails designate areas with outstanding recreation opportunities throughout the U.S. The 31.5-mile Garnet National Winter Recreation Trail System is the hub for winter recreation in the Garnet Range. Winter snowmobile trips are an excellent way to see what many consider one of the best-preserved ghost towns in Montana. Approximately 55 miles of trails are kept groomed by the Bureau of Land Management. A visitor center at Garnet Ghost Town is open on weekend throughout the winter. Cabin rentals are available. Warming shelters are provided along the Garnet Winter Trail. This is also an attractive area to visit in the summer months.